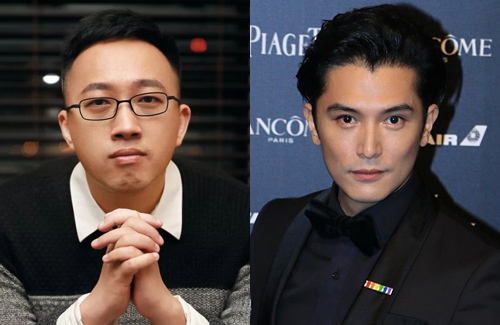 Mainland Chinese producer Yu Zheng lashes out at Roy Chiu for alleged unethical behavior. Golden Horse Best Actor nominee Roy Chiu (邱澤) has been accused of abruptly dropping out of a series by famed producer of Story of Yanxi Palace <延禧攻略> Yu Zheng (于正). Claiming that Roy had “begged and screamed” about wanting a role in his new drama, yet quit at the eleventh hour after being assigned the role of third male lead. Responding to the allegations, Roy’s manager Lia Tianjun (廖天駿) said, “This just happened in the afternoon. We realized that one of Roy’s earlier projects had been delayed, and was afraid of affecting teacher Yu Zheng’s February production, so we told him in WeChat. He got angry and we are still communicating the matter,” He added that everyone respected Yu Zheng, but that Roy had never met him and did not “beg” for the role. He did not sign a contract with Yu Zheng and informed him immediately when he realized the clash in schedules. Whether YZ is saying the truth or not, if YZ is smart he should just shut his mouth because nobody is going to view him as the better guy. He could have keep that little fame he sort of gained back from the success of Yanxi Palace, but just because he earned some attention back now, he’s acting up again. Yu Zheng may be a bit*h but Roy is a scum. I know who I will believe more in this matter. Well someone can kiss goodbye to future roles with this hit maker although he may have legitimate reasons. Not that Roys side isn’t at fault, but couldn’t YZ have been a bit less petty about it? Its so ugly. @megamiaow Yu Zheng is a infamous Bit*h….